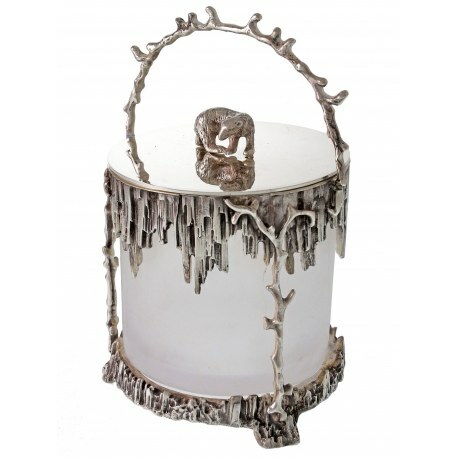 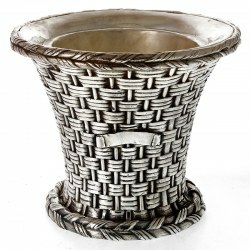 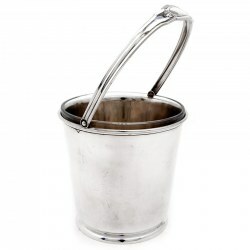 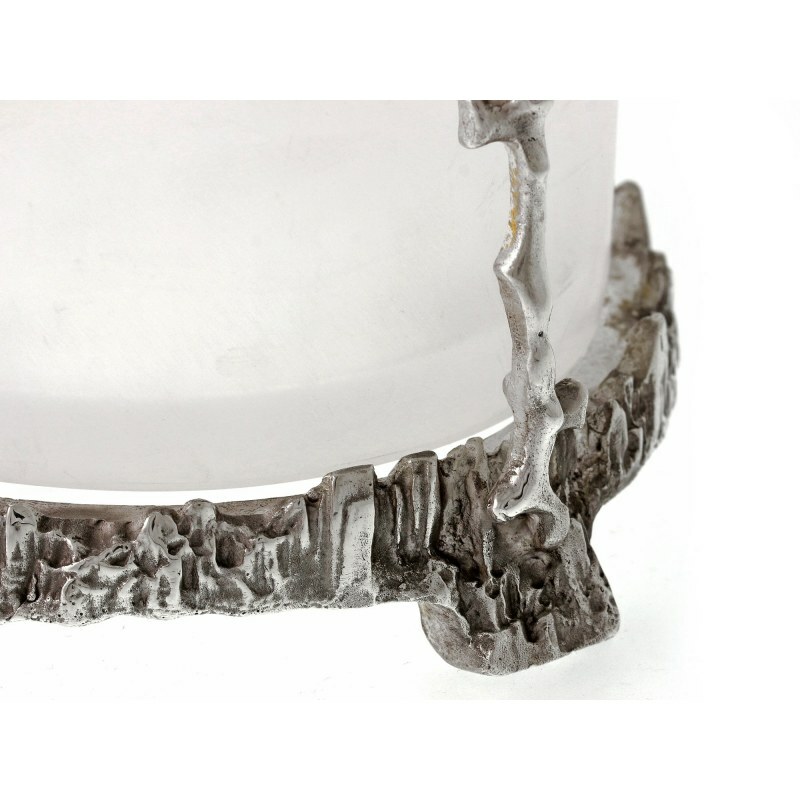 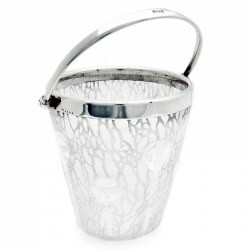 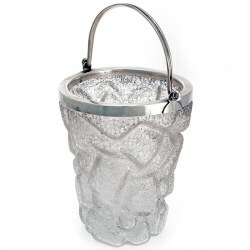 A Stunning Victorian style silver plated lidded ice bucket with frosted glass liner and coral swing handle. 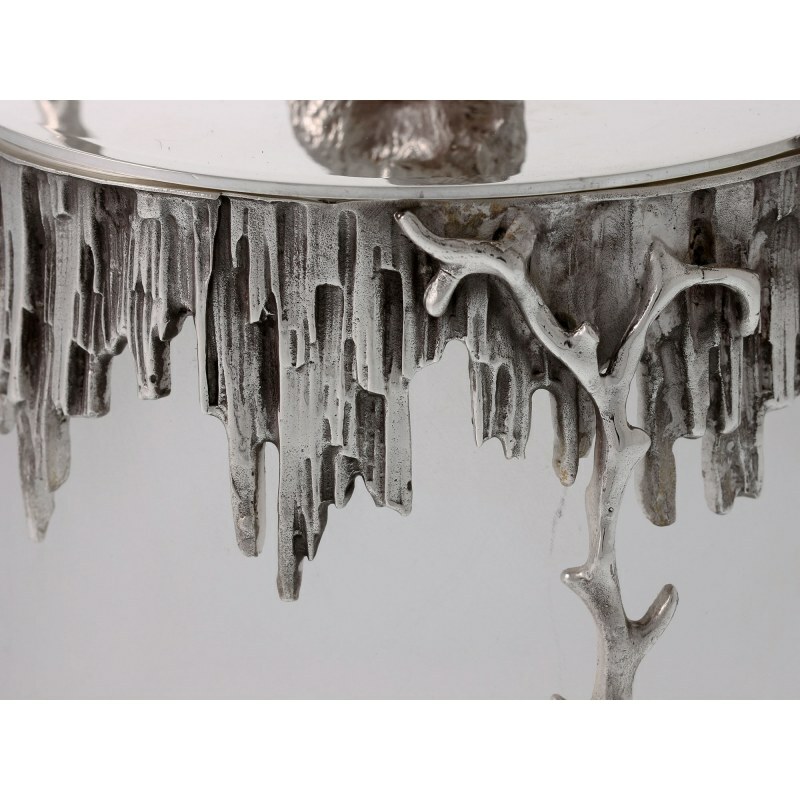 The rocky circular base leads up to hanging icicles. 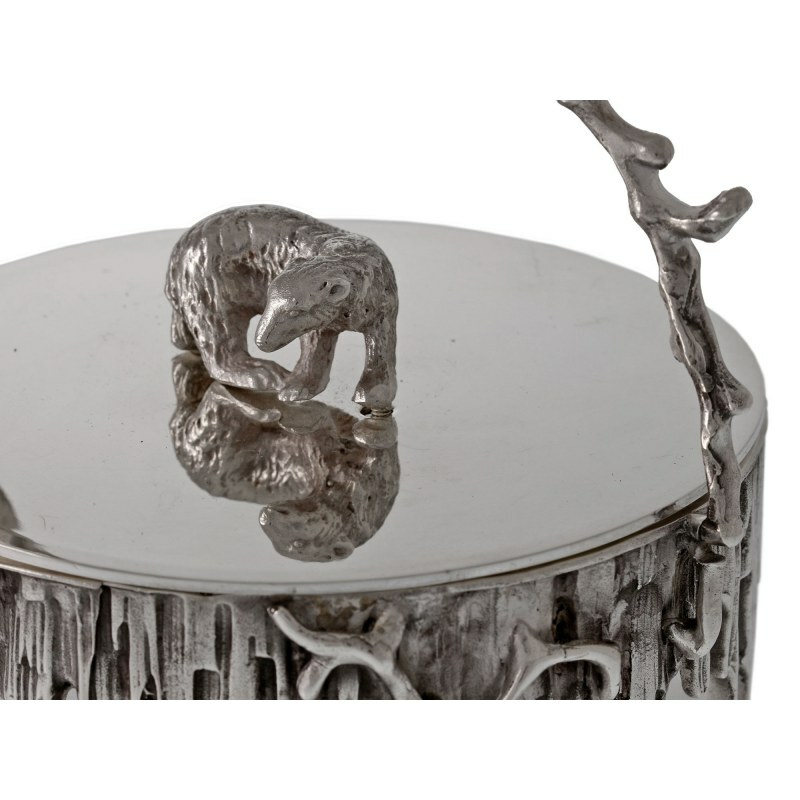 The plain lid has a polar bear finial. 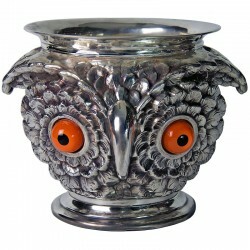 A very decorative piece.